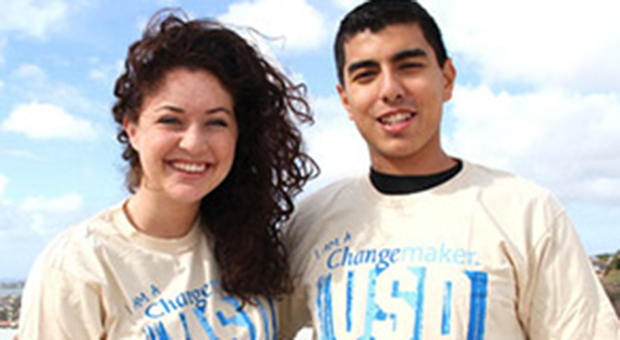 Meeting challenges and leading change is central to the University of San Diego’s mission and values. The institution seeks students who are willing to take on challenges and make a difference on a personal, local and global level. We know that supporting young minds in their studies and their changemaking path is vital. The Changemaker Scholarship will not be offered during the 2017-2018 academic year as we have launched now the Changemaker Fellow Program supporting six students to create, coordinate and oversee many of the Changemaker Hub initiatives. Stay tuned for the 2018 Changemaker Fellows application!